Gold is a metal that has captivated our imagination since the earliest time. The Egyptians, the Romans and emperors of the past draped themselves in gold. Treasure hunters and modern economists have followed its every move with bated breath and plenty of bravado! It is a precious metal that has promised unparalleled luxury and led to innumerable wars and conquests. 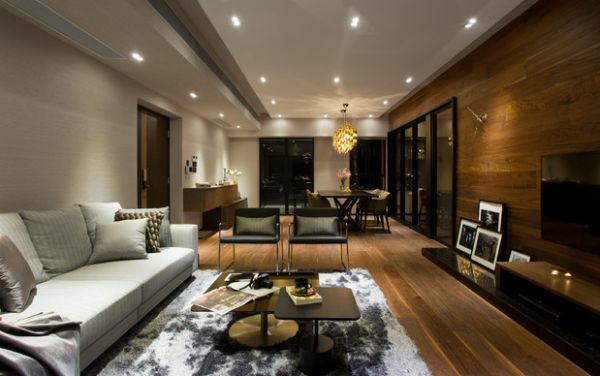 Yet, today we move away from the allure of gold itself and take a look at its presence in interiors design. Gold-leafing, embellishments in its shining hue and golden colors bring in affluence, sophistication and a sense of magic! 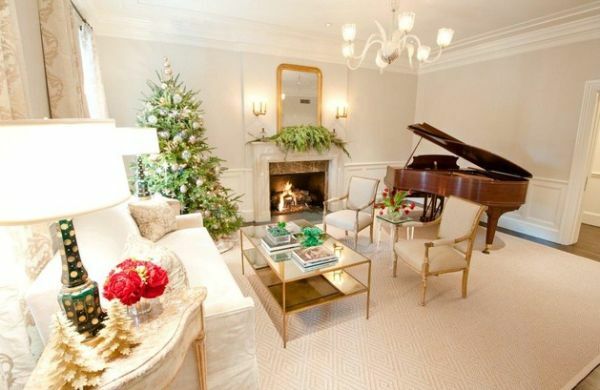 Adding gold to your home does not mean you have to go back to an era long gone by. Traditional and Victorian designs are not the only settings that gleefully welcome this shiny yellow metal. 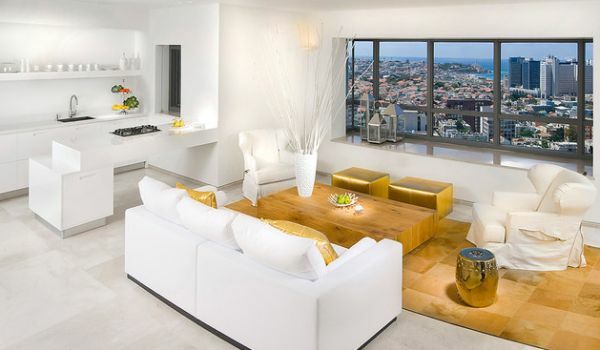 Contemporary interiors with golden accents look both stylish and stunning. From the earthy metallic to the extravagant sparkle, gold is the bold new trend. 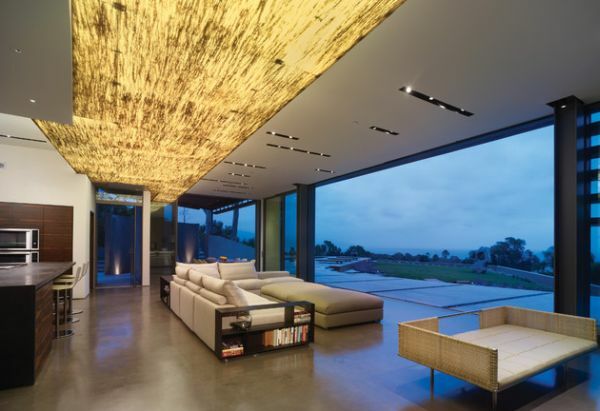 Gorgeous ceiling designed to give you a brilliant gold rush! Coffee table or golden treasure chest? Gold is all about affluence. There is pretty much no denying this fact, no matter how you wish to guild it. 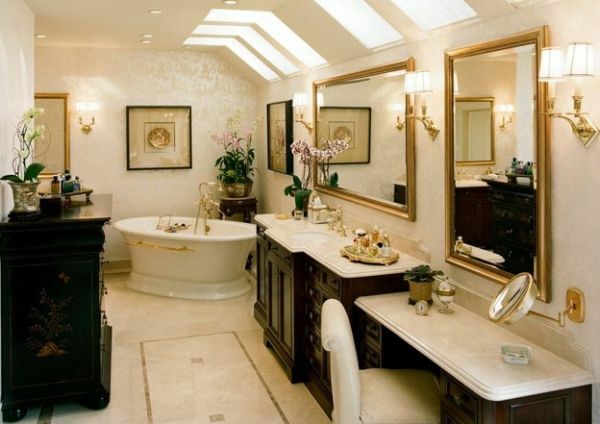 Oriental design has always placed great importance on inducing interiors with bright golden yellows. 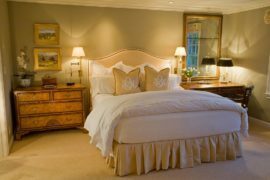 Modern research suggests that hints of golden yellow in the bedroom aid in both your love life and a more relaxing nap. 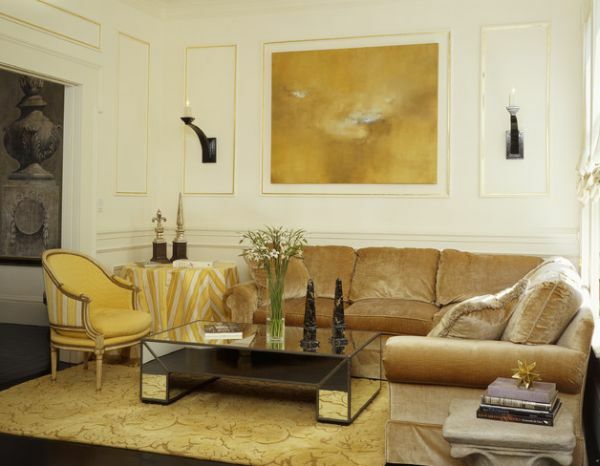 While bold yellow can substitute for gold, nothing matches the magnetism of perfectly done gold-leafing. 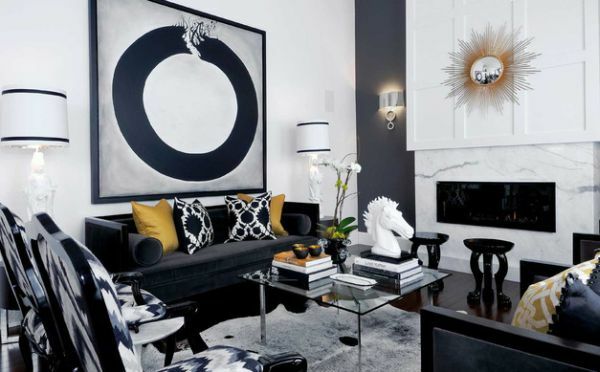 As contemporary homes lean towards more and more neutral interiors that use pristine white and grays, gold has found new found space in interior design. The desire for gold is the most universal and deeply rooted commercial instinct of the human race. 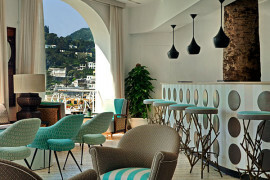 The essence of interior design has always been about people and their desire to combine luxury with aesthetics. 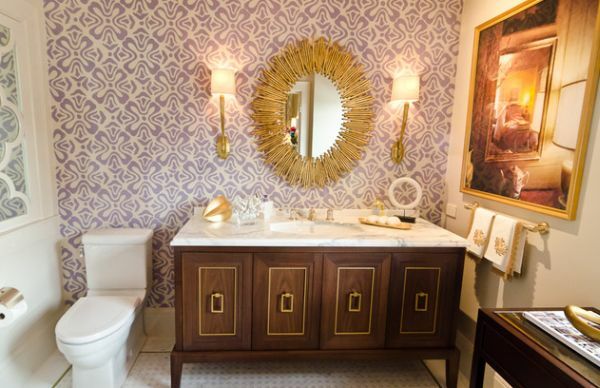 Bring these two things together and gold seems like a natural fit for every home. And most of us would gladly drape our homes in the metal had it been possible! Simple way in which you can add some gold! 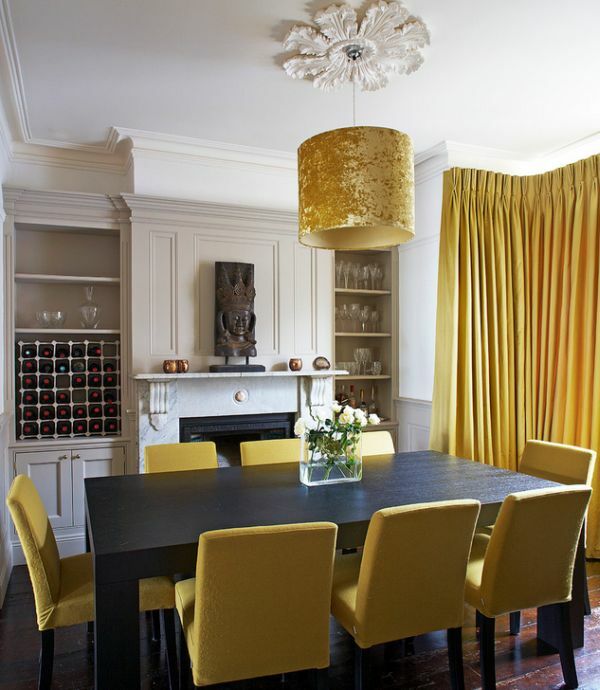 No shortage of golden surfaces in this dining space! 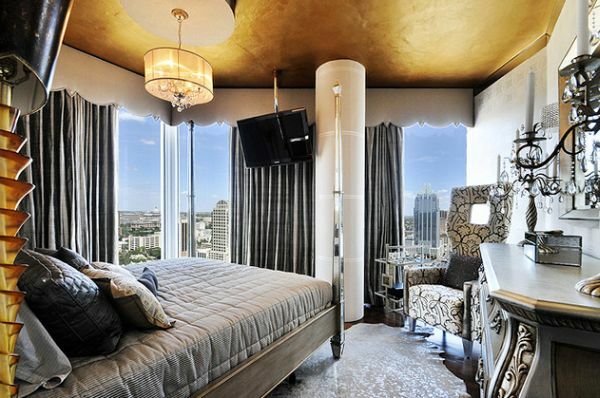 The perception with gold accents and gold-leafing is that it is best suited for palatial homes that can afford the excess. 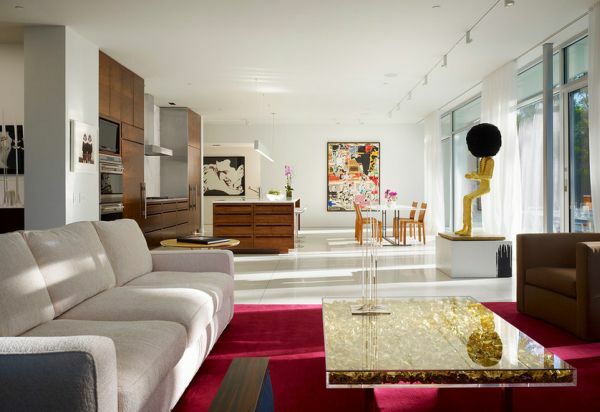 But it is the really compact spaces that benefit from the additions of gold the most. 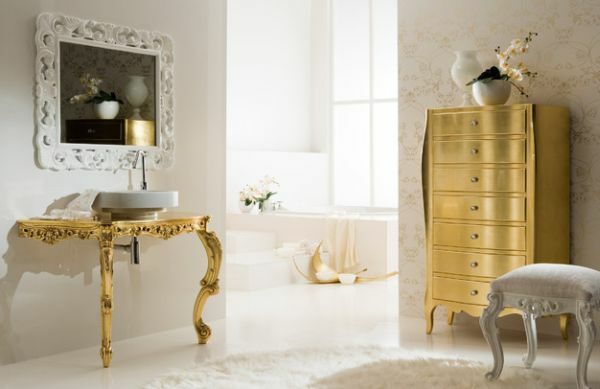 Adding a glossy and polished golden accessory, décor item or even wall trimming, adds a beautiful reflective surface to the room. 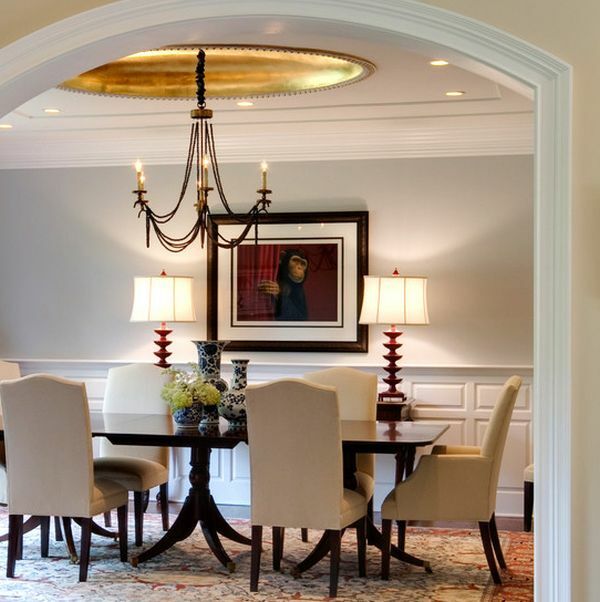 This not only makes it appear light, fresh and airy, but also automatically creates more visual space. 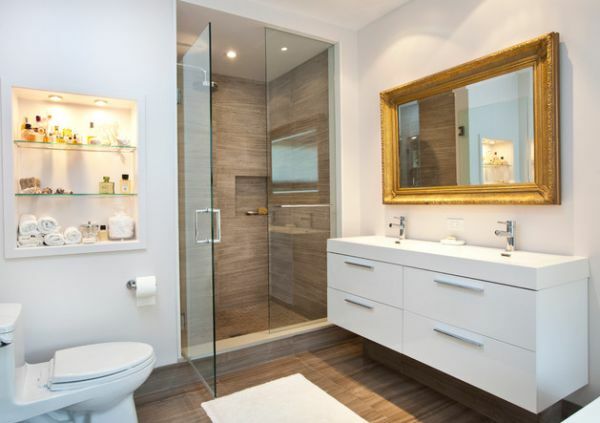 A better choice would be to give your mirror or picture frame a golden glint. 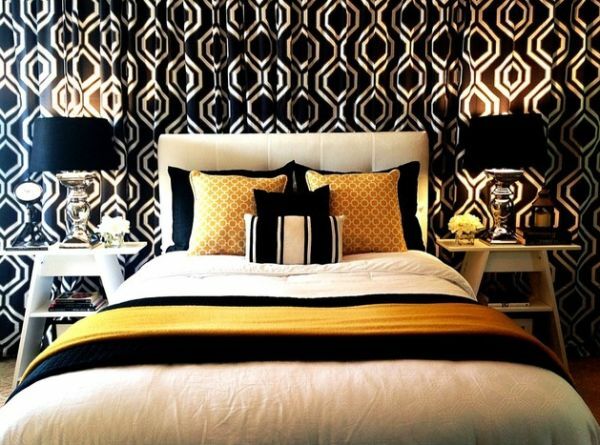 Small contemporary bedrooms in black, white and gold look simply stunning. 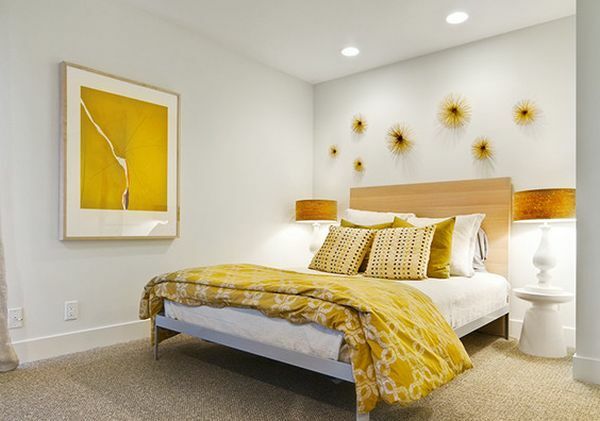 The addition of a golden hue can be done using simple throw pillows, accent fabric or lighting fixtures that create a warm and inviting atmosphere. 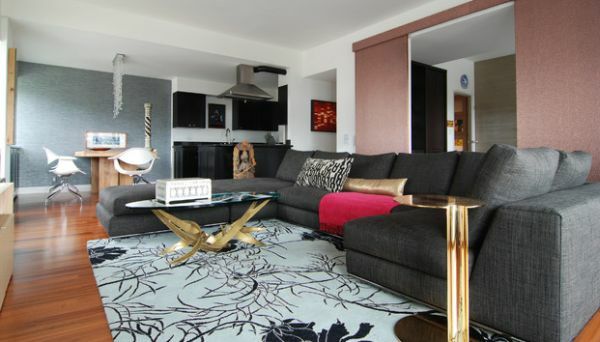 As a color gold does not define the merely room’s features. It accentuates them and breathes life into a possibly dull space. 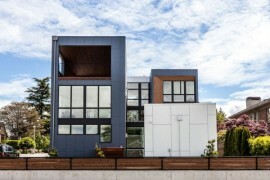 Surrounded by glass, concrete and stone, a hint of bright metal presents a lovely variation in a modern home. 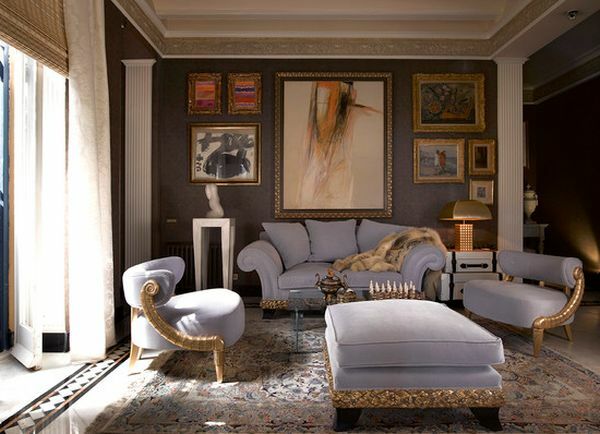 Both texturally and visually, gold-leafing makes a big impact even when used in a contained and modest fashion. 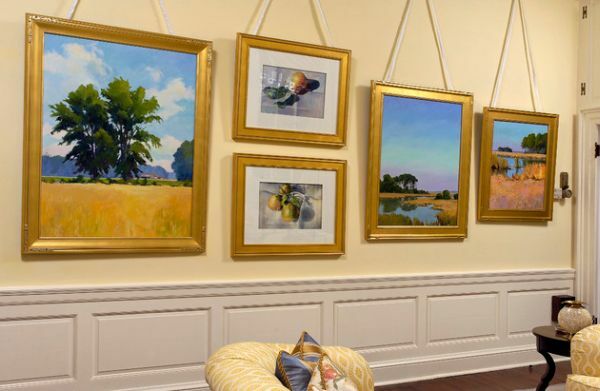 It creates depth and highlights the special design features and unique additions of the room. A beautiful ceiling with golden shine and a lovely chandelier also help brighten the place by spreading the light more evenly. It is absolutely true that gold does not work in every space. 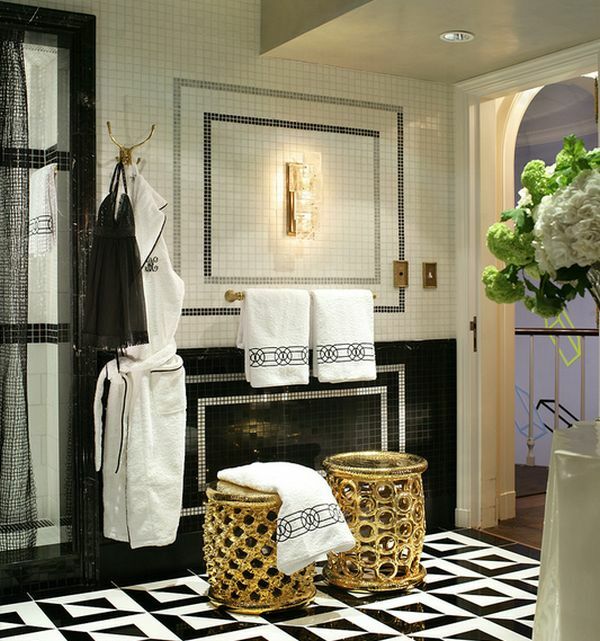 More than color, it is about keeping the room clean, uncluttered and well-lit. 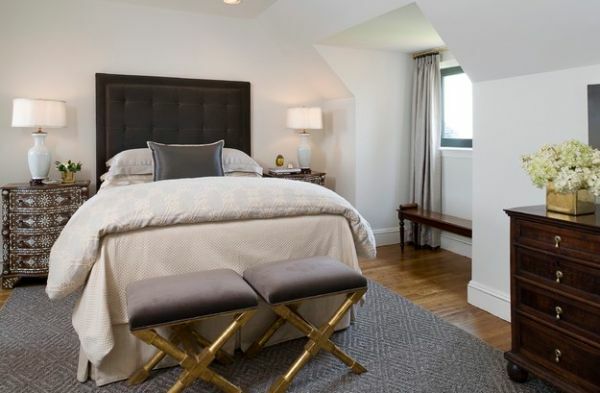 If you have a home that meets these demands than the subtle and delicate colors of gold can elevate it to a whole new level of luxurious elegance.